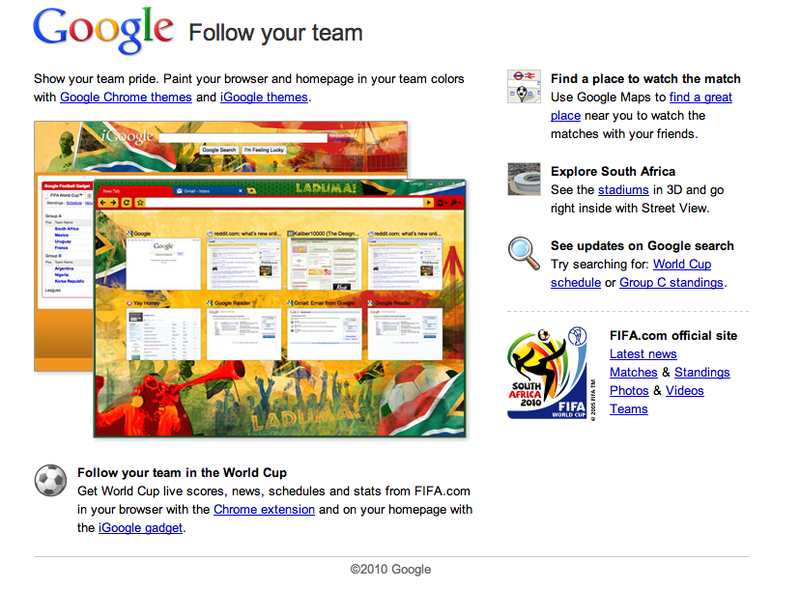 Google is offering a customized World Cup Soccer experience via the browser and iGoogle home page. With the World Cup being the world’s largest sporting event, Google’s offer will surely be widely embraced and adopted by its global audience. This entry was posted on June 11, 2010 at 3:14 pm and is filed under Follow Your Team in The World Cup. You can follow any responses to this entry through the RSS 2.0 feed. You can leave a response, or trackback from your own site.